Dawn and Gerard offer several different Tantra based educational workshops in a very safe and sacred environment. Our workshops are typically held in our beautiful and comfortable home, just outside of Boulder, Colorado and can accommodate up to 20 participants. Because of this small number, a sense of intimacy and connection is created. We take great care to provide our participants with an experience that is both personal and experiential. 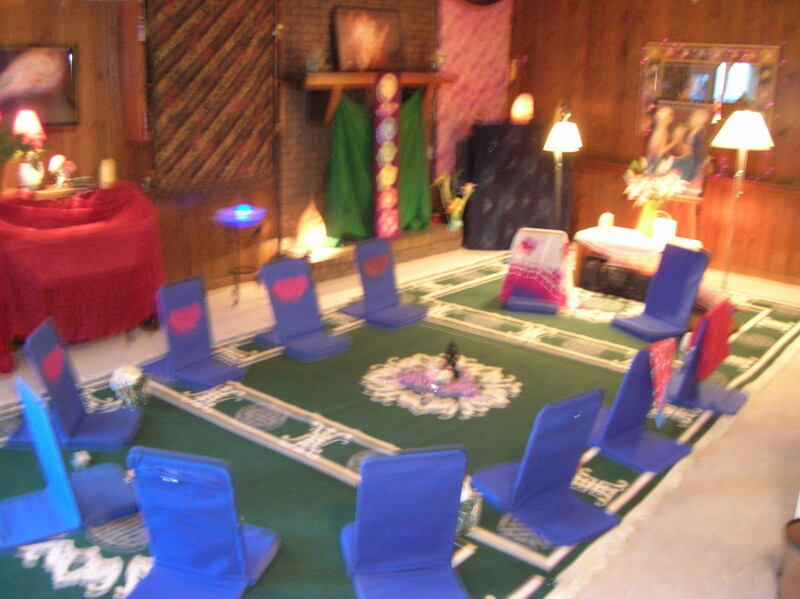 We believe that the benefits of exploring Tantra and Sacred Sexuality in a group environment where you can sink into your own discoveries and learning as well as have the opportunity to interactively open to the energy of the group dynamic are both powerful ways to experience the expansion and weaving of the Tantric path. We hold our intention of creating a very safe and sacred environment for this learning with utmost respect and honor. Among our workshop offerings are a one-day Introduction to the Art of Tantra for Singles and Couples, monthly Pujas for Singles and Couples, an Expanding your Palette with Tantra and Kink one-day workshop for Singles and Couples, a four-day workshop for Couples: Sacred Sexuality and Conscious Loving for Couples, and an assortment of one and two-day workshops specifically for Women. We will soon be offering workshops for Men, as well as some other new visions. We invite you to explore the workshop(s) that fit your needs at this time and we welcome any questions that you may have. We are also available to travel and would be happy to talk to you about creating an appropriate workshop in your home town.